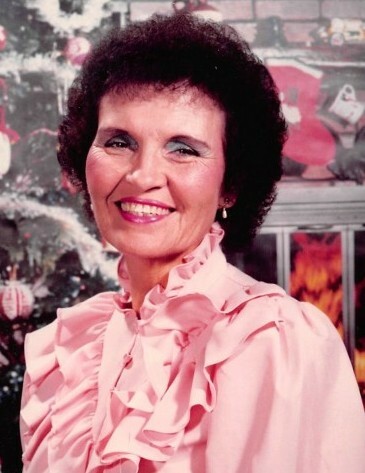 Bald Knob/Viola Jane DeFoure, born Oct. 7, 1920, passed away March 21, 2019 at the age of 98. She was the last of ten children born to Luther and Leona Turpin. Viola was a Christian of the Latter Day Saints faith. She worked extremely hard during her life. Viola sacrificed all to feed, care, and love her children at no cost of life and always put herself last. She worked 28 years at ITT Higby Automotive of Searcy until its’ closing. Our precious Lord has taken her back home where she was created and where there is no pain. Left to cherish her memory are four sons; Dewey Wayne DeFoure of Bald Knob, David Kenyon of Judsonia, Terry DeFoure of Searcy, Danny Robenson of Searcy, one daughter; Tereasa Morris of Tuckerman, eight grandchildren and her heart; Brandon Wayne DeFoure (wife Mykayla Defoure) of Judsonia, Marisa Lyn DeFoure of Bald Knob, great-great- granddaughter; Taegan DeFoure of Judsonia.